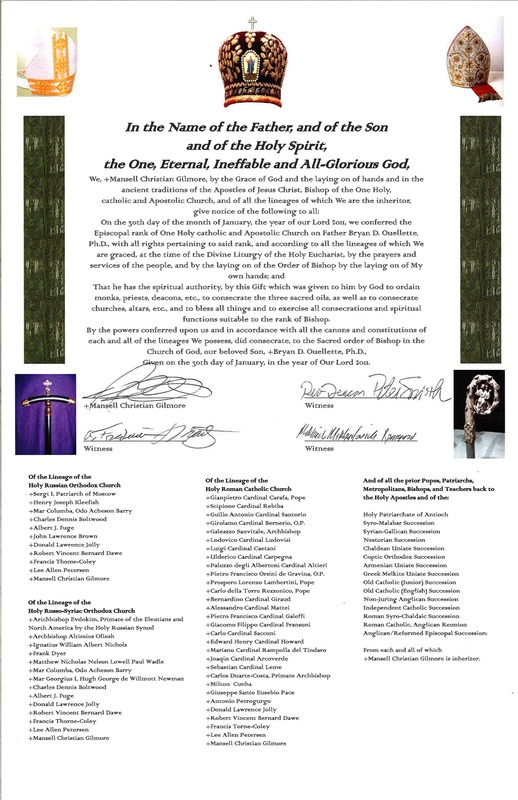 the appointment of his Holiness’s successor according to fiat, acclamation and tradition of the Holy Nicholean Catholic Church. 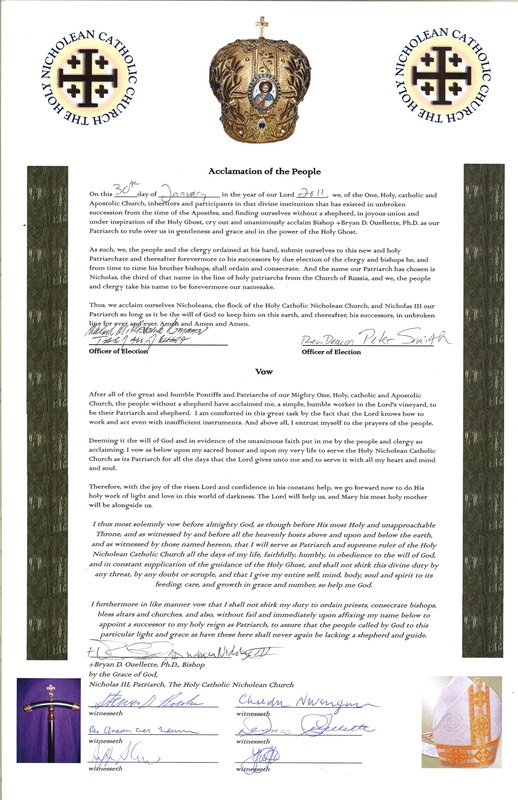 Consecration Document for Bishop +Bryan D. Ouelllette, Ph.D. 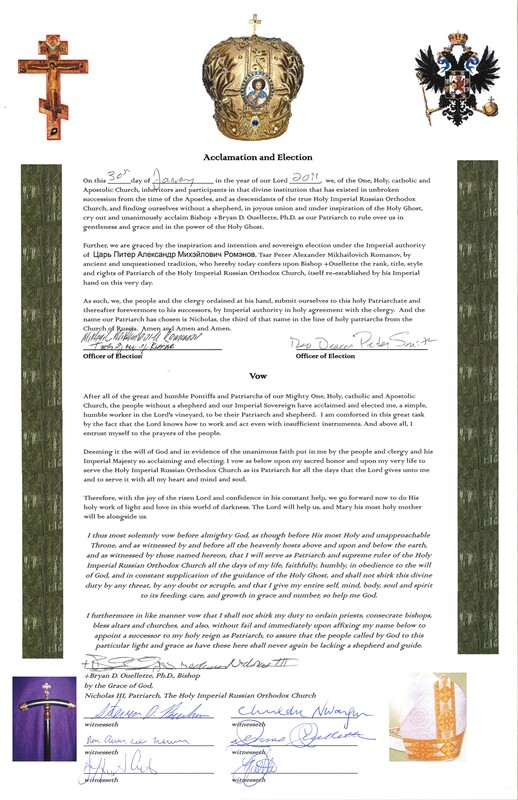 Document of Election and Acclamation of Bishop +Ouellette as Patriarch of the restored Holy Imperial Russian Orthodox Church in exile, and in abeyance for 300 years.